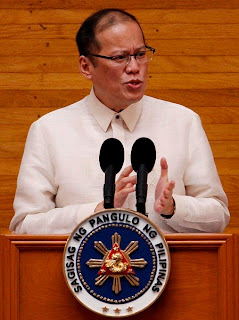 This afternoon today, Philippine President Benigno S. Aquino III delivered his 54-minute State of the Nation (SONA) in the 15th Congress at the House of Representatives, on "treading the straight and righteous path." "We do not wish to increase tensions with anyone, but we must let the world know that we are ready to protect what is ours. We are also studying the possibility of elevating the case on the West Philippine Sea to the International Tribunal for the Law of the Sea, to make certain that all involved nations approach the dispute with calm and forbearance. "Government agencies are now focused on realizing this; they are working together to creatively solve the problems that have long plagued our country. "All of these things we are doing will be wasted if we do not do something to end the culture of corruption. "To my colleagues in public service, from those at the top and to every corner of the bureaucracy: Do we not feel the pride that working in government now brings? That, now, we are proud to be identified as workers in government? Will we waste this honor? "I call on our Local Government Units: Those of you who are in the best position to understand the needs of your constituents can expect greater freedom and empowerment. But we trust that in providing for your communities, you will remain committed to the straight path, and will not lose sight of the interest of the whole nation. "It is imperative that our programs remain in sync, because the progress of the entire country will also redound to progress for your communities. Let us do away with forward planning that only looks as far as the next election, and think of the long-term national good. "Ultimately, we have to unite and work together towards this progress. "We have already made progress, but we must remember: This is only the beginning, and there is much left for us to do. Allow me to present to Congress some of the measures that will bring us closer to the fulfillment of our pledge to the nation. "We aim to give due compensation to the victims of Martial Law; to grant our house help the salaries and benefits that they deserve; and to improve the system that awards pensions to our retired soldiers. We likewise support the expansion of the scope of scholarships granted by DOST to outstanding yet underprivileged students; the advancement of universal quality healthcare; the responsible management of the environment; and the formation of facilities that will ensure the safety of our citizens during times of great need and calamity. "Some of my critics say that I take this campaign against corruption personally. It’s true: doing what’s right is personal. Making people accountable—whoever they may be—is personal. It should be personal for all of us, because we have all been victimized by corruption. "What is wrong remains wrong, regardless of how long it has been allowed to persist. We cannot simply let it pass. If we ignore the crimes of the past, they will continue to haunt us. And if we do not hold people accountable, then they will do it again and again. "We are aware that the attainment of true justice does not end in the filing of cases, but in the conviction of criminals. I have utmost confidence that the DOJ is fulfilling its crucial role in jailing offenders, especially in cases regarding tax evasion, drug trafficking, human trafficking, smuggling, graft and corruption, and extrajudicial killings. "We are not leaving anything to chance; good governance yields positive results. Think about it: We have realized our promise of providing the public with the services that it needs and implementing programs to help the poor without having to raise our taxes. "We have put an end to the culture of entitlement, to wang-wang: along our roads, in government, in our society as a whole. This will bring confidence that will attract business; this will also ensure that the people’s money is put in its rightful place: Funding for infrastructure that will secure the sustained growth of the economy, which will then give rise to jobs, and public service that guarantees that no one will be left behind. "More opportunities for livelihood will be opened by tourism; the strengthening of our agriculture sector will ensure that every Filipino will have food on his table. We will invest on those who were once neglected. All this will create a cycle wherein all available jobs are filled, and where businesses flourish through the empowerment of their consumers. "I am aware that, until now, there are still a few who complain about our style of governance. But you have seen our style, and its ensuing results. You have seen their style, and, especially, where that took us. Anyone with their eyes open can clearly see which is right. "We are steering our government in a clear direction. A country where opportunity is available; where those in need are helped; where everyone’s sacrifices are rewarded; and where those who do wrong are held accountable. "Sometimes, I do worry about what I am doing. But I am heartened because you are with me, and we stand on the side of what is right. "And to those who may resist the change we are trying to bring about, this I say to you: I know what I must do, and my personal interests are nothing when compared to the interests of the nation. There are many of us who want what is right for this country; and there are more of us than you. To those of you who would turn back the tide of reform: you will not succeed. "To those who have chosen to tread the straight and righteous path alongside us: it is you who created this change, and it is you who will bequeath our success to your children. To the jeepney driver plying his route; to the teachers and students coming home from class; to the artists whose work inspires our sense of nationhood; to our policemen, our soldiers, our street sweepers, and our firemen; to you who work with honor, in the Philippines, in the oceans, or in other countries; our colleagues in government who stand steadfast with us, whatever province you come from, whatever party you belong to; every Filipino listening to me now—you made this happen. "You created a government that truly works for you. We still have five years left to ensure that we will not return to what once was. We will not be derailed, especially now that what we have begun has yielded so many positive results. "If you see a loophole in the system, do not take advantage of it. Let us not acquire through patronage what we can acquire through hard work. No more cheating, no more taking advantage of others, no more one-upmanship—because in the end we will all realize our shared aspirations. 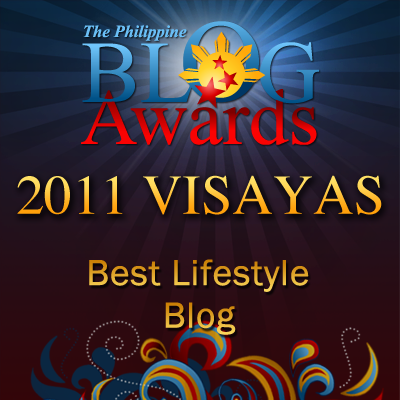 "Let us end the culture of negativism; let us uplift our fellow Filipinos at every opportunity. Why are there people who enjoy finding fault in our country, who find it so hard—as though it were a sin—to say something nice? Can we even remember the last time we praised a fellow Filipino? "Let us stop pulling our fellow man down. Let us put an end to our crab mentality. Let us make the effort to recognize the good that is being done. "And so, to the Filipino nation, my Bosses who have steered us toward this day: Thank you very much for the change that is now upon us. "The Philippines and the Filipino people are, finally, truly alive." we are the strength of our nation, we better do are part right,if we filipino unite us one we can do better than any countries.stop pulling our fellow filipino down,if we giving a chance to help and if it is right thing don't hesitate to help. support our leaders lets do our part! Mabuhay ang pilipino!!! proud to be a filipino!! !